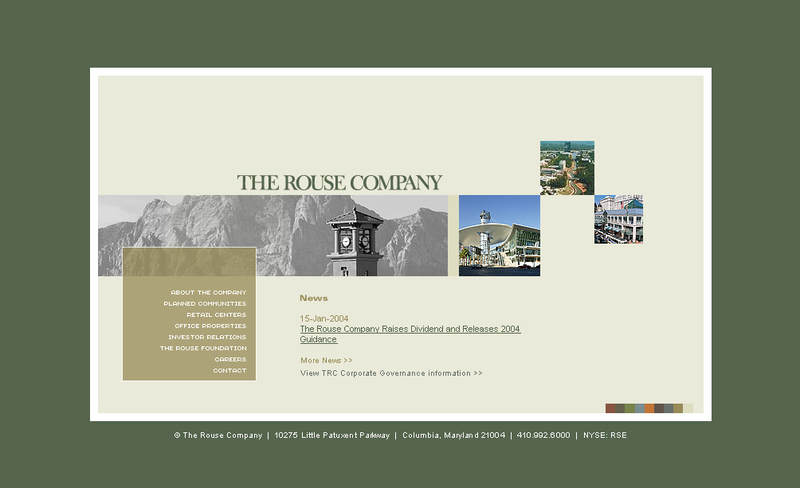 In collaboration with Bill Shinn & Associations and Conroy Design, I redesigned and built The Rouse Company’s corporate web presence and intranet. 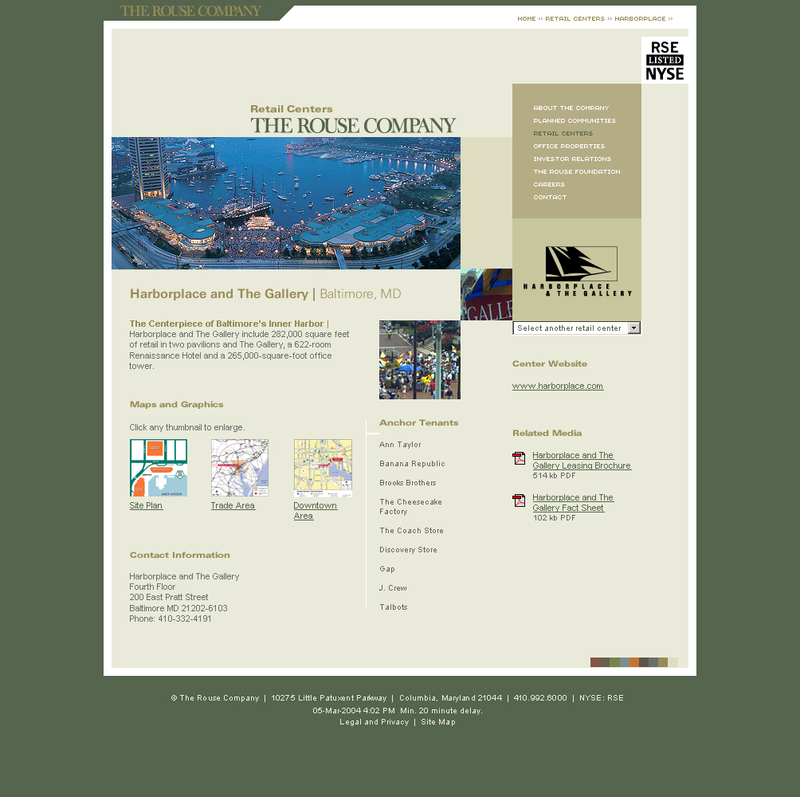 It was a very forward thinking visual approach at the time. 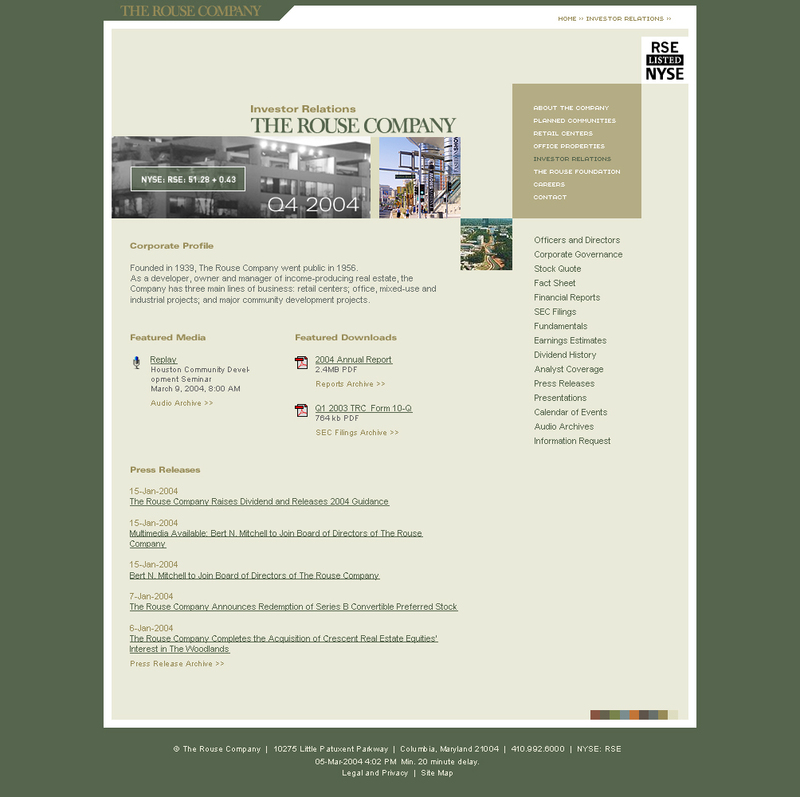 The glory didn’t last long though as the company that Jim Rouse built was sold to General Growth Properties soon after the site was launched.